So, I got a hold of the stater for Cruel Seas a week or so ago, and one visit to my games club, consisting of two games sold it for me. So, what's the next step? Putting together a flotilla, of course! My initial thought was to put together an Italian Flotilla only, given how nice the Corvette in that starter set looked - but after playing around with the lists a bit, and looking at the size of the models, it became apparent that I should be able to put together a few flotillas, rather than just one. And that first game sold me on S-Boots, anyway. This is one of three projects I'm doing, each for a different nation. And by the nature of their availability, the Germans are up first. So, one month later, and the first part of the German flotilla is complete. I won’t say that I’m completely overjoyed with the paintjob, but I’ve learned to accept a “gaming-quality” paintjob rather than somthing that can win awards – I know I’m not that good. But ultimately, I’m happy with how these ships have turned out. I’m actually surprised with how little detail there actually is on the Minesweeper. From the rulebook, there did appear to be more, but they also were painted by people who were a lot more talented than me, so I guess that counts as somthing. But for now, best to keep things rolling rather than waiting for Warlord to get their act together. ...and done, complete with crew. So, what next...? First licks of paint, and new additions! 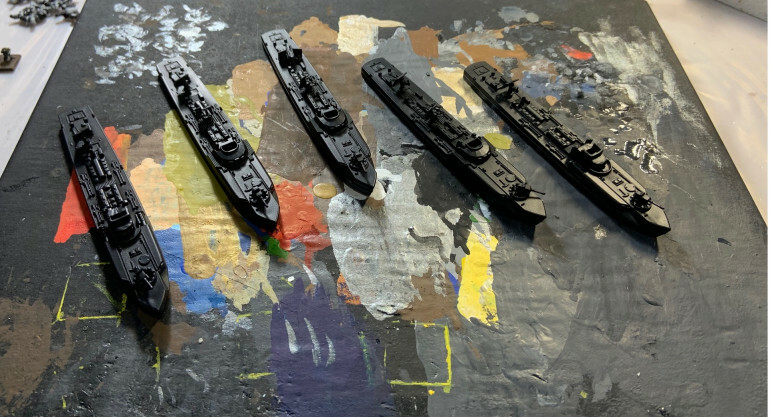 So whilst I was waiting for the factories to churn out a few new vessels (and for other classes to be tooled up for – looking at you R-Boats…), I got stuck in and put the first few licks of paint on my S-Boats. 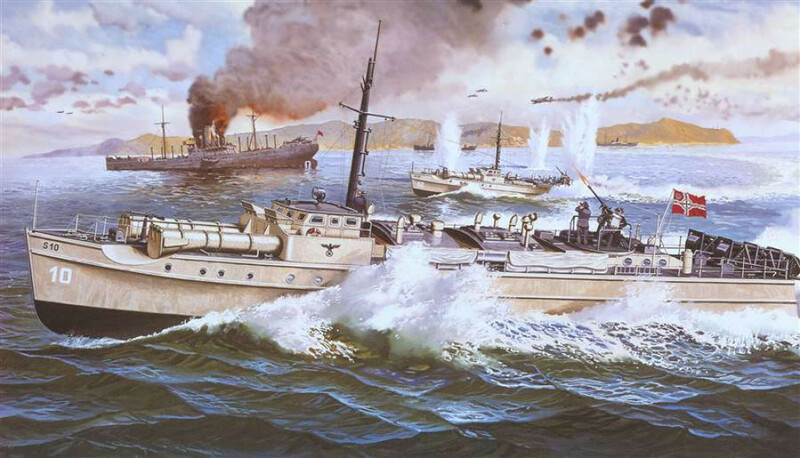 In some respects, we’re lucky with Cruel Seas, as historical modellers have been doing up S-Boats and Vospers etc for years, which give us a bunch of pseudo-historical colour schemes to use of we so choose. 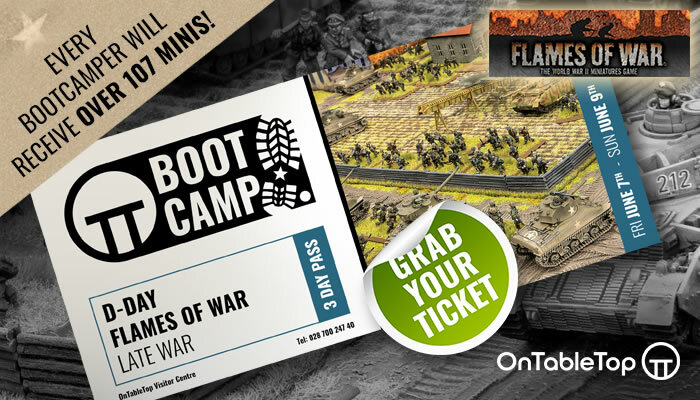 But it the flexibility and the fact that this is a wargame also allows us to do our own thing we so choose. 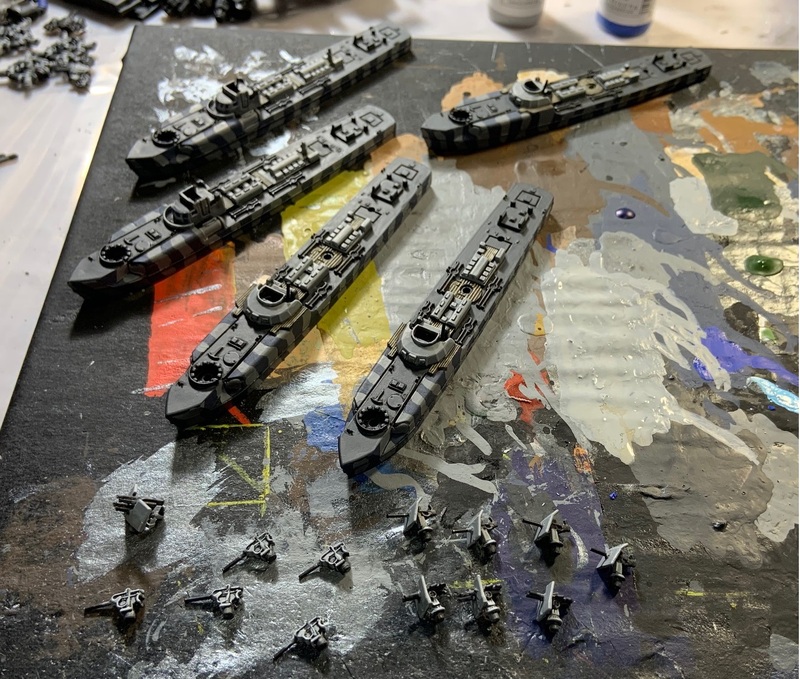 Blue and Grey have been a colour scheme of mine for ages, and the disruptive pattern is somthing I think I’ll keep for the full German fleet – a unifying feature so that the disparate ships still look like they’re part of the same force. Yes, I know, i’m not that fast a painter – I’ve made the mistake of buying too many minis before and not knowing how long it’ll take me to finish a force. Which is why I like Cruel Seas – only half a dozen models needed for a flotilla and I’m done. It was also in this delivery that I got my Italian fleet, and I immediately looked at it as to whether or not I could use the F-Lighter in there as a German variant…but now I’m not so sure. 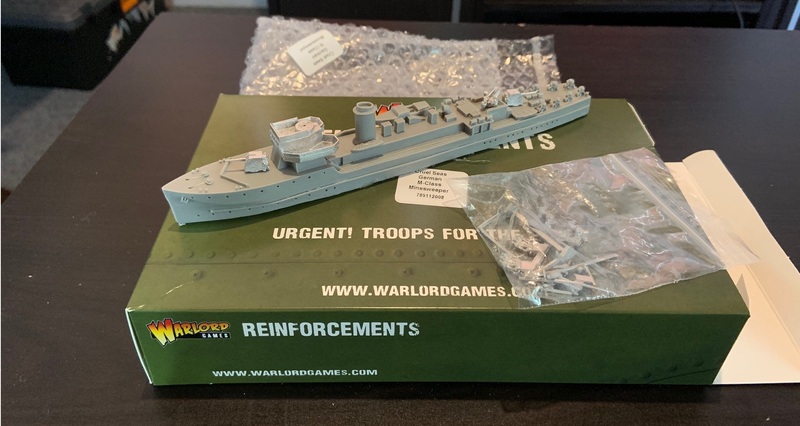 The guns would look completely different, I’d have to do some converting to get other guns right…maybe it’d just be better to wait for a dedicated German version – if Warlord ever releases one. First boats constructed and undercoated for painting. The three S-100s are the core of the flotilla mentioned earlier, and the S-38s are required by the Invasion scenario, so I figured it was worth putting them together as well. As a gamer of limited resources (like most of us), a bit of planning is usually the first step in putting together a new army for me. In the case of Cruel seas, this consists of looking at the scenarios, the lists and determining what I’ll need to have a decent sized collection. Now, most of the scenarios have pre-determined forces – to play “Invasion”, I’ll need a couple of Siebel Ferries, a Minesweeper and two S-38 Boats, but there’s also the “kill them all” game type. In that case, aiming for around 1000 points seems to be a decent size list. But there’s also the units themselves to think of. My demo games showed, hands down, that the S-100 E-Boat is superior to the S-38 – which means that my main force will be S-100s (with a couple of S-38s for scenario purposes). As for equipment on those boats, although putting a 20mm Flakvierling 38 on the rear of the S-100 is tempting in terms of outright damage, my experience has shown that a 37mm Flak 42 is probably a better option, due to its longer range (the to-hit penalty you have at long range is fairly significant). But luckily, your boats can have different equipment within the flotilla, so two S-100s with 37s and one with a quad-20 quickly became the core of my force. Next – what to support them with. As I’ll talk about in my British project, my first thought was to have a Corvette or Frigate as the main backbone of the force, supported by lighter boats. Whilst the Germans do have a Corvette in the form of the M-Class Minesweeper, and the next ship up is a Destroyer. There is the VP-Flakship, and its comparable to the F-Lighter, trading out a few guns for better speed. However, given that I’m planning on using the F-Lighter i’ll get with the Italian fleet as a German ship, but I actually don’t like the VP-Boat model I see no point in getting one. After a bit of playing around, I manged to figure out a few lists I could use, mostly centred around a larger ship (M-Class Minesweeper, F-Lighter etc) with S-Boats as an attack force, but as an experiment, I also went with boats only. This is when the R-Boat starts to come into play – its slightly more expensive than an S-Boat, and it trades out torpedoes, some of the guns and a bit of speed for 50% more hull. Its an interesting choice, and historically, the R-Boat was more of a workhorse than the S-Boat was. After some consideration, I added a pair of them to my wish list, thinking of using them as maybe some flank- or rearguards. Plus, one of the scenarios requires an R-Boat anyway. So, after all that consideration, I had a shopping list. Some of the items weren’t available right now, but that just takes some of the pressure off me later when it comes to painting.